Our trail, gentle reader, shall begin with the question of tracing back the history of ideas to see where things lead. 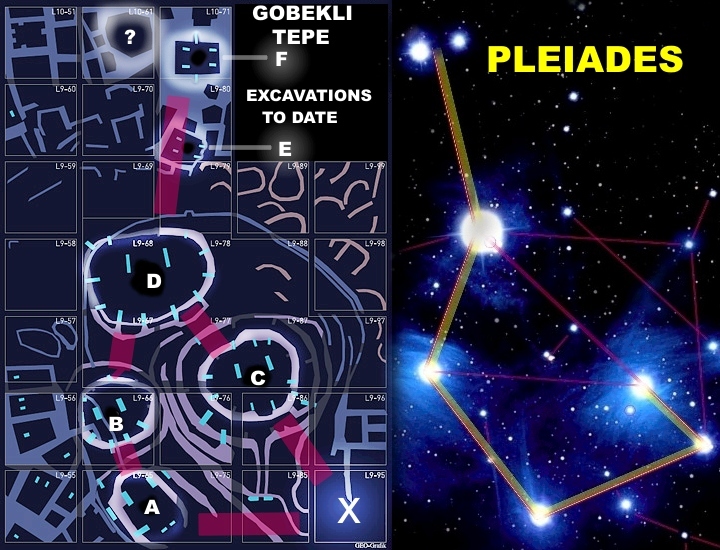 There are two central pillars in Göbeklitepe temples. There is question on if we define these two pillars as “The Dual Divinity,” in that they should be the “celestial parents” and “male and female principles” as well. In my opinion they were for the high-priests or head-shamans of Göbekli Tepe temples. In Sumerian mythology, sun god Utu stands between two columns which symbolize a gate; and the symbols are the sky and the earth. In Greek Mythology, the two pillars of Hercules guard the passage towards the unknown. Vega and Deneb H Symbols According to Dr Rappenglueck, these outlines form a map of the sky with the eyes of the bull, birdman and bird representing the three prominent stars Vega, Deneb and Altair. 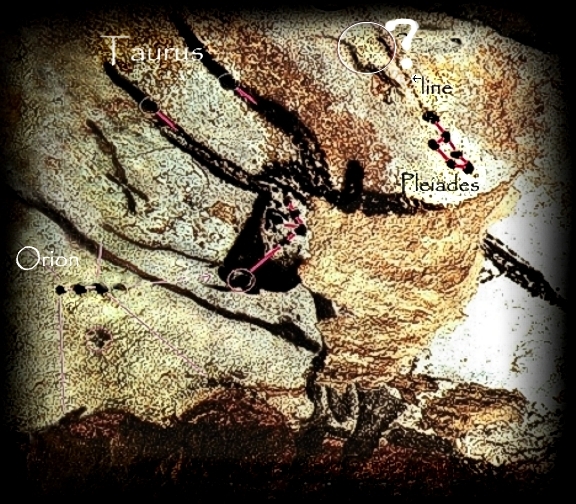 "The general orientation of the structures towards the pole stars of earlier millennia reinforces this view, and suggests observations possibly as far back as 12,000 BC, or perhaps even earlier." "Let’s summarize what has just happened. The proposal that low-relief animal symbols (except the snake) represent asterisms is almost certainly correct." Likewise, another astronomer, B. G. Sidharth expresses that 12 pillars located around the center of Temple D could symbolize the 12 months of the year. Sidharth also thinks the “H” sign on one of the center pillars symbolizes the Orion constellation. He believes the sun and moon signs imply a solar eclipse . According to Schmidt, however, the H-like sign characterizes the male and female relationship . When examined closely, it does seem a kind of relationship between two individuals: both thrusting out their hands to one another. he center pillars which depict the “H” and sun-moon signs stylize the human body, as it is generally accepted. Arms and hands can be seen precisely. Human faces are not clear. It might be that they are not humans, but gods or goddesses of the Neolithic. We see arms bestride both sides of the pillar, and the hands come together on omphalos, or navel. This standing position might be considered special and perhaps sacred. 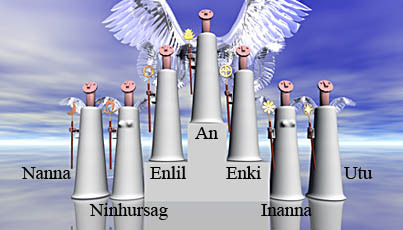 Sumerian goddess Inanna was characterized in a standing position just like center pillars of Göbeklitepe. Likewise, huge statues of Easter Islands were constructed in this kind of sacred standing position (hands on omphalos). According to some, this posture symbolizes “birth” or “rebirth”.